Ashley Zegiestowsky, who majored in computer sciences at Butler University, now works at BidPal in Indianapolis. 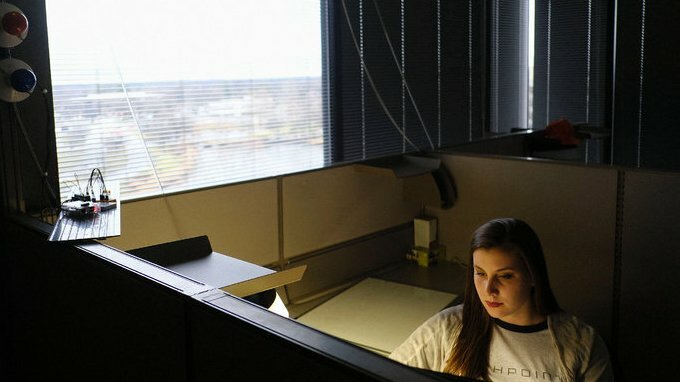 When Ashley Zegiestowsky, a computer sciences major at Butler University, was hunting for a technology job during her senior year, she took a close look at Silicon Valley, the promised land for young engineers eager to be part of the next big thing. “It sounded really glamorous,” said Ms. Zegiestowsky, 22, who is from Nashville. But as she was considering her options, she discovered the Indy Tech Fellowship, a two-year paid internship program in Indianapolis that is backed by a growing tech community and angel investors. 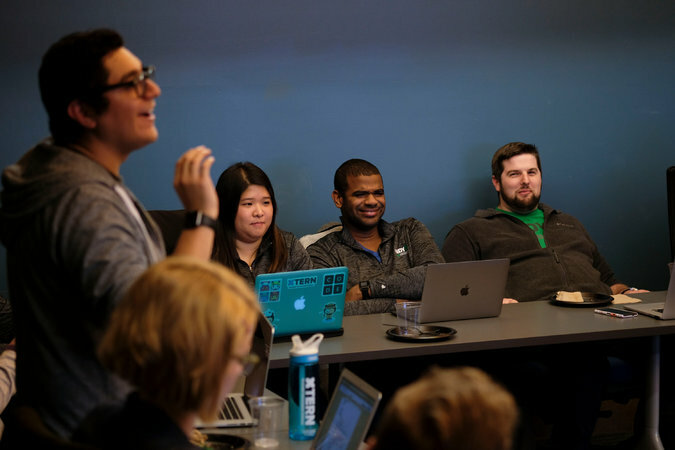 Tech entrepreneurs in Indianapolis are eager to stanch a brain drain from their state’s universities, and to lure out-of-state millennials to what they hope can be a prime Midwestern technology center. To that end, they formed the nonprofit TechPoint, which is developing programs like a short-term boot camp for new graduates and internships for college students. Indianapolis, a city of about 850,000, has long been known as a manufacturing center where air-conditioners, cars and car parts are made. It is home to the Indy 500 and the drug giant Eli Lilly. Political leaders have also made the city a sports center, moving the Colts football team from Baltimore and persuading the National Collegiate Athletic Association in 1999 to place its headquarters there. But as in many other areas, the city’s manufacturing presence has diminished. Helping to make up for the loss, the city has steadily, if quietly, become a center for new technology, particularly software. Notably, the cloud computing company Salesforce, based in San Francisco, announced a plan last year to expand its 1,600-person work force in Indianapolis by another 800 employees. Salesforce already had a toehold in Indianapolis with its 2013 acquisition of the software marketing company ExactTarget for $2.5 billion. 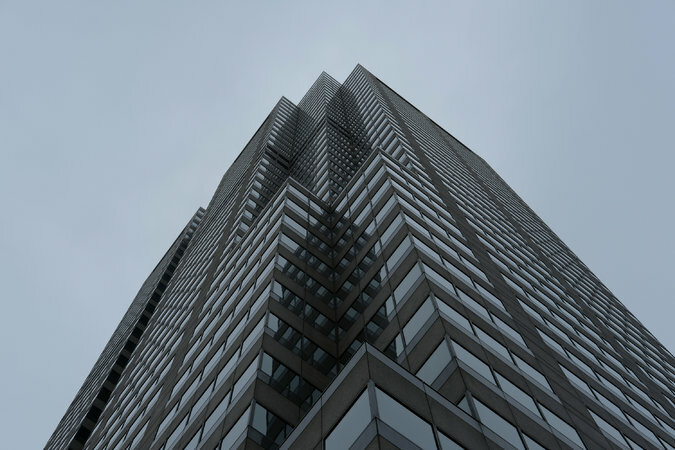 Armed with about $18 million in state and local incentives, Salesforce said it would move this year into about 278,000 square feet of office space in the 48-story Chase Tower. The building, which is in the heart of downtown on Monument Circle, will be renamed Salesforce Tower. Officials at Salesforce declined to be interviewed. Local tech entrepreneurs and real estate specialists hope the company’s expansion will help attract more technology companies. In 2016, Indianapolis companies said they planned to create 3,700 new jobs, about two-thirds of those in the tech sector, said Ian Nicolini, vice president of Develop Indy, an economic development agency. That share is up from about one-fifth of 4,000 new jobs that were planned in 2015, he said. 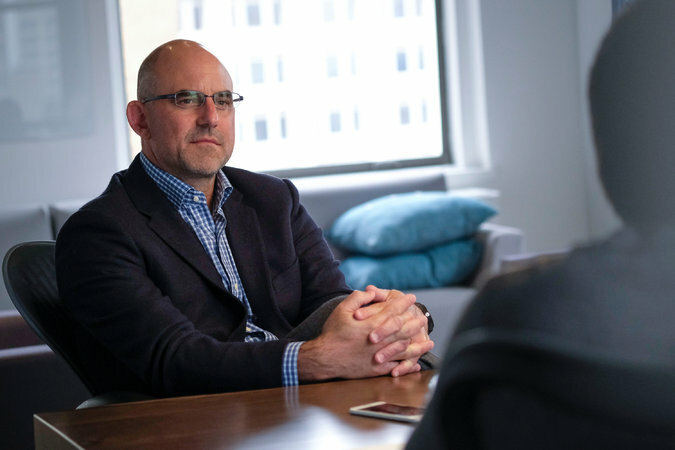 David Becker, an Indiana native who founded First Internet Bank in Indianapolis in 1998, is among those who have stuck with the city. As he acquired other companies in other cities, he began to relocate employees there. “Once people visit, they realize it’s not a cow town; it’s got everything the big cities have,” Mr. Becker said. “People are especially blown away by the housing costs, and the quality of the schools.” Higher education is also a selling point: Universities such as Butler, DePauw, Indiana and Purdue and the Rose-Hulman Institute of Technology are producing graduates with broad expertise in tech-related fields. Add to that a revamped Indianapolis airport that has many direct flights to and from both coasts. Salesforce joins early adopters of Indianapolis such as Angie’s List, the online site for local services and contractors, which moved to Indianapolis from Columbus, Ohio, in 1996, and ExactTarget. Another Indianapolis company in the city’s tech vanguard was Interactive Intelligence, founded in 1994. It developed call center software and was acquired in December for $1.4 billion by Genysys, based in Daly City, south of San Francisco. Officials at Genysys said at the time they still planned a large presence in Indianapolis. Still, a cloud hovers over Indiana’s tech landscape. The vice president-elect, Gov. Mike Pence of Indiana, ruffled the tech industry in 2015 when he signed the Religious Freedom Restoration Act, which allows businesses to cite religion as a reason to refuse to serve customers — a move that critics said was aimed at the gay community. Several tech leaders immediately protested. A letter-writing campaign led by a group of tech executives including Marc Benioff, the chief executive of Salesforce, urged Mr. Pence to stand down, saying the legislation was bad for business, condoned illegal discrimination and muddied the separation between church and state. Mr. Pence said it was not discrimination but rather a way to ensure religious freedom. “Technology professionals are by their nature very progressive, and backward-looking legislation such as the R.F.R.A. will make the state of Indiana a less appealing place to live and work,” the letter said. Although the General Assembly softened the measure, it remains on the books. The newly elected governor, Eric Holcomb, Mr. Pence’s lieutenant governor, is expected to follow a similar approach to social issues. The legislation has had a chilling effect, said David L. Johnson, president and chief executive of the Central Indiana Corporate Partnership and head of BioCrossroads, a new organization whose goal is to build on Indiana’s agriculture sector and mesh it with life sciences and the tech sector. “Some companies have had a hard time hiring people,” he said. For Ms. Zegiestowsky, the decision to stay in Indiana after college was a bit of a gamble. With her connections through the Indy Tech Fellowship, she signed on with BidPal, a company that develops fund-raising software for nonprofits. She is part of a small team of engineers and hopes they will give her a chance to play a larger role than she might have in larger Silicon Valley firms. 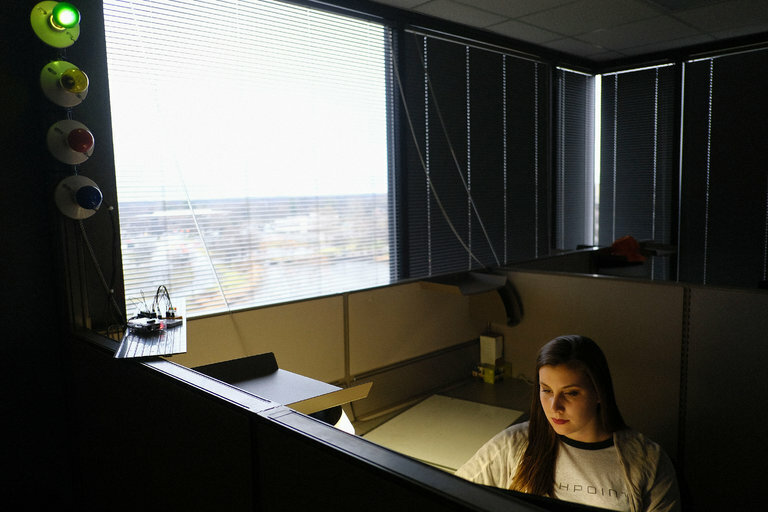 “I wanted to be part of a company where I wasn’t just a number,” she said. Ms. Zegiestowsky is paid about $60,000 annually, above the state’s $50,000 median, though less than tech graduates can earn on either coast. But in Indianapolis, that salary goes far. Ms. Zegiestowsky and a roommate pay about $1,600 for a spacious two-bedroom, two-bath apartment in the heart of the compact downtown, which was laid out by Alexander Ralston, who worked with Pierre L’Enfant to design Washington and modeled Indianapolis after the nation’s capital. When Ms. Zegiestowsky is not at work, she can walk to the city’s arts, culture and growing restaurant, craft beer and club scene, where jazz has long been a fixture. “This is definitely a great place for young professionals,” she said. An article on Wednesday about Indianapolis’s supporting technology businesses as a way to make up for diminished manufacturing misstated part of the name of the location of Salesforce’s new regional headquarters there. It is Monument Circle, not Monument Square. The article also misstated the year that David Becker, an Indiana native, founded First Internet Bank. It was 1998, not 1986. How is the real estate market? Is now a good time to sell? Is now a good time to buy? How much is my home worth? Get the answers to these questions sent directly to you by requesting a FREE MARKET REPORT that provides you with information regarding your local neighborhood, market insights and more. The Hawkins Agency © 2017. All Rights Reserved. F.C. Tucker Company, Inc.